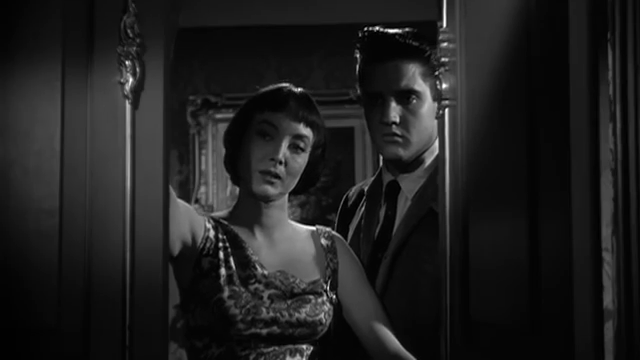 A troubled teen (Elvis Presley) disappoints his father (Dean Jagger) by failing high school and choosing to work in a nightclub owned by a man (Paul Stewart) who his sister (Jan Shepard) falls for. But will Danny’s (Presley’s) new singing career and romance with a sweet clerk (Dolores Hart) be jeopardized by his association with a thug (Vic Morrow) working for a gangster (Walter Matthau), whose seductive moll (Carolyn Jones) makes continual moves on him? 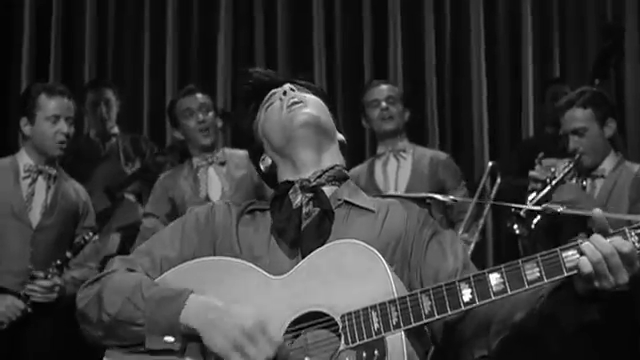 Peary argues that this loose adaptation of Harold Robbins’ novel A Stone for Danny Fisher (1952) remains “Elvis Presley’s best film”, noting that “Presley gives a strong, tough performance and his singing is terrific”. Peary further points out that “he is ably supported by a fine cast” and “the direction by Michael Curtiz is very efficient”, “styled much like his Warner Bros. biopic-musicals.” Peary concludes his review by noting that the film is a “solid piece of entertainment and certainly one of the top juvenile delinquent pictures of the fifties”. 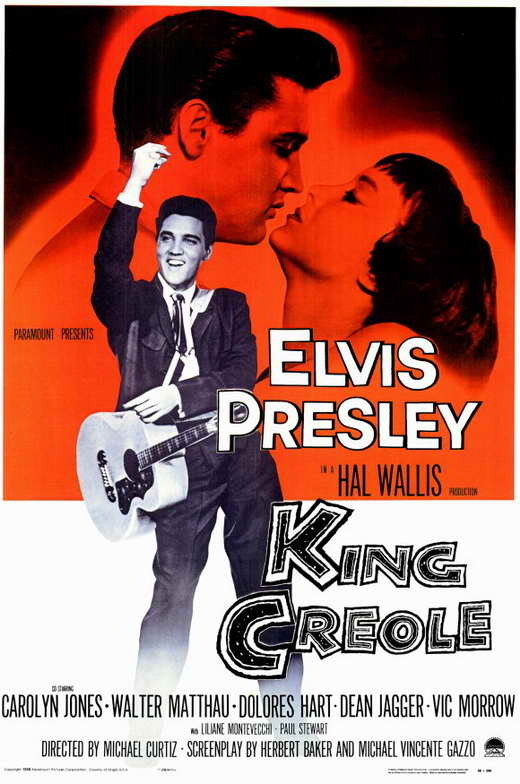 Presley — in his final movie before entering military service — does indeed seem to be at the top of his game, singing numerous nifty, lively ditties (all well incorporated into the storyline), and toggling his bad-boy impulses between “pretty Dolores Hart” and “Carolyn Jones, Matthau’s unhappy mistress”. Jones makes a strong presence as well: she’s amply seductive, pulls no punches (except when forced to under duress), and is clearly a damaged soul simply hoping for relief, which leads to plenty of genuine tension about which girl — and path — Presley will choose. 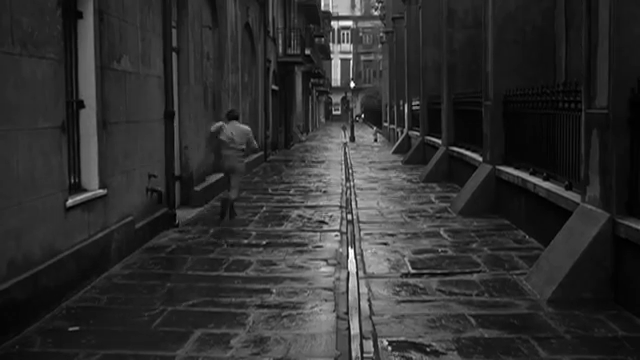 Russ Harlan’s cinematography is top-notch, and fine use is made of New Orleans locales. Yes, once, for its historical significance. It seems I’m at the polar-opposite of Peary’s view. I know I’d seen this when I was a kid but… seeing it again was more than a chore. My biggest difficulty with the film is its script – there’s nothing all that distinctive about it (much of the dialogue is mundane) and it makes for an oddly lethargic viewing experience (one that even a pro like Curtiz can’t do much with). Once the film starts, it soon settles into a turgid rhythm that’s maintained throughout… except when Presley periodically does his swagger thing. The songs, alas, have a general sameness about them and none of the songs are all that memorable. 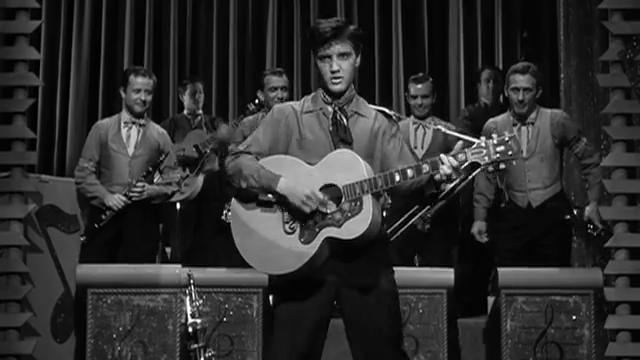 That may not have mattered at the time of the film’s release – when Presley was all the rage – but time hasn’t been kind; some of Presley’s musical performances in other films still have more power than what’s here. In short, I don’t find the film all that compelling.